Karl Kopp, Director of European Affairs, PRO ASYL, Frankfurt/Main: Perspectives for the defence of Human Rights for Refugees in Europe. The impact of Brexit. Dr. Marco Inglese, Faculty of Law, University of Fribourg, Switzerland: The European Citizens’ Initiative: an effective tool to boost democratic participation? 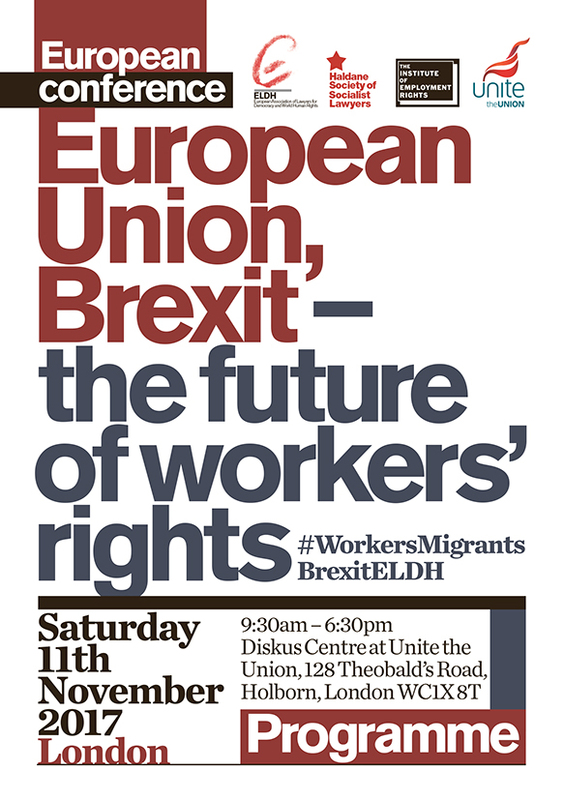 Julian Bild, Solicitor: Anti-trafficking and Labour Exploitation Unit (speaking in a personal capacity): The EU: A help or hindrance? and if you need a non-gluten meal or have any other food intolerance. If you don’t specify you will be given a vegetarian meal.